Beautiful Incentives: New Years Blowout Giveaway!! 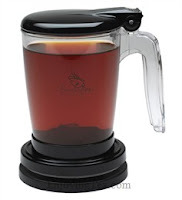 2013 Your chance for a soda sparkle, tea maker and much more! New Years Blowout Giveaway!! 2013 Your chance for a soda sparkle, tea maker and much more! New Year’s BLOWOUT Giveaway !! Sabrienna of 4everydayliving rounded up a bunch of us bloggers to start off the new year right with a giveaway blowout! Thanks to our sponsors and the love we have for our readers, we’ve made it happen. We have a ton to giveaway, so make sure you enter the Rafflecopters below so you can get in on the the action and maybe win a few prizes! Look below to see only SOME of our great prizes and their sponsors. The rafflecopters reveal oh so much more!! My blogger is on the fritz, so please direct your clicking hands to Sabrienna's Giveaway Page and enter all the RC's for the MANY different prizes in store! A few bloggers and myself decided to start of the new year right and do a giveaway blowout! Thanks to our sponsors and the love we have for our readers we've elow so you can get in on the the action and maybe win a few prizeook below to see some of our great prizes and their sponsors.